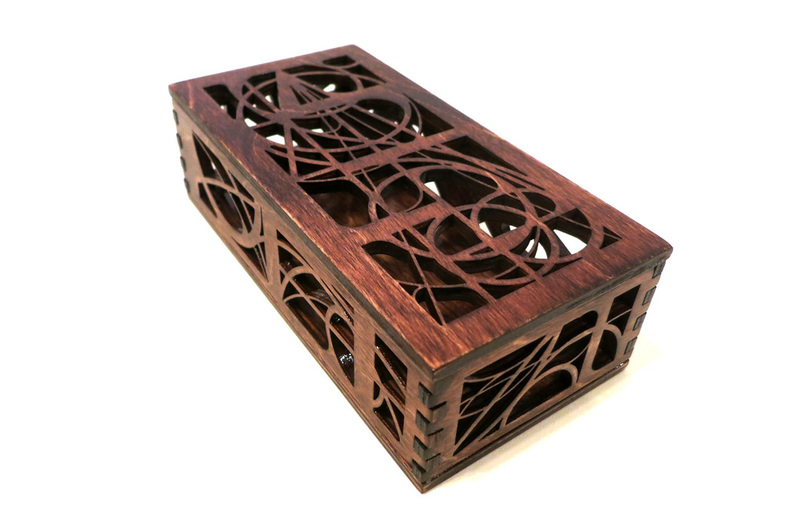 Inspired by the many brownstone houses covered with ivy in the neighborhoods of Chicago, this box mixes a vine like form with simple geometric shapes. 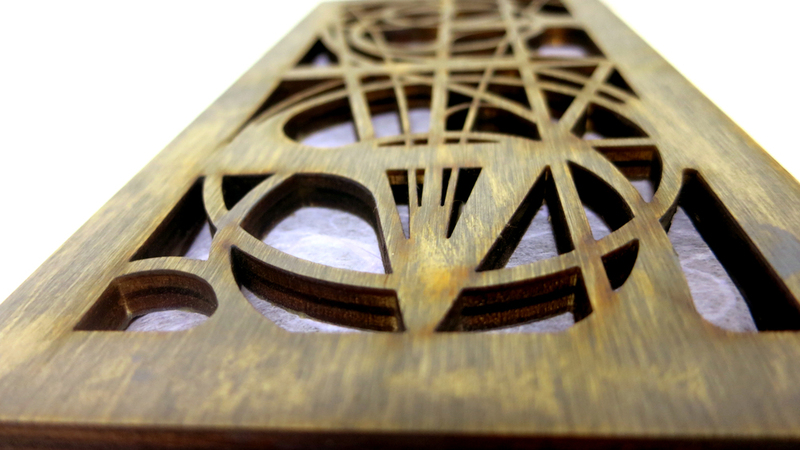 It’s constructed from ¼” Baltic Birch and assembled with notched joints. It’s wonderful for wedding rings, business cards, pencils, pens or small keep-safe items.